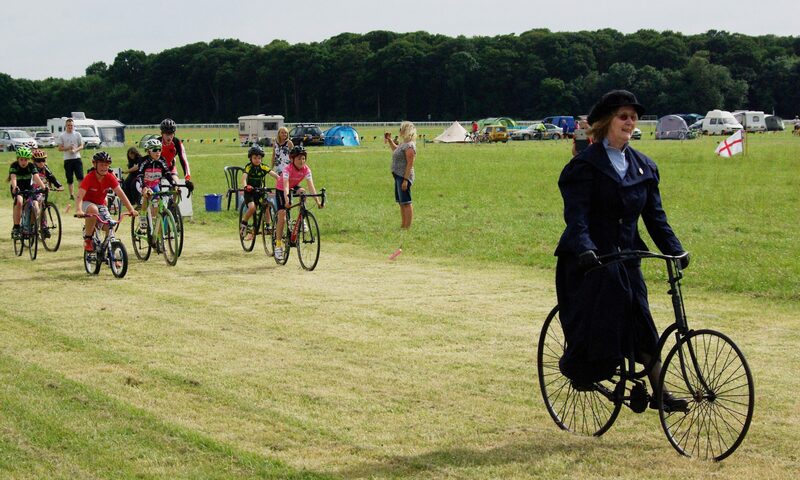 On foot or by bike, go to the Racecourse end of Knavesmire Road. The access has been remade since previous Rallies, and the entrance is now through the gates as seen on this Streetview image. Please follow signs and directions from marshalls. The Rally is about 10 minutes by bike or 20 minutes walk from York railway station. The fastest route is this (about 2 km), or leave the station via the ramps at the far end of the short stay car park for a quieter, more scenic route along the river as mapped here (about 5 km). Info on taking your bike on the train can be found here. 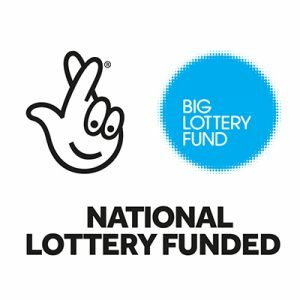 Disabled parking: Please just show your blue badge to the marshalls on the gate, and you will be directed right up into the site to the disabled parking. The whole site is level and accessible, in marquees pitched on the grass of the Knavesmire. There are disabled loos on site. 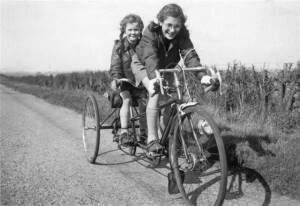 1953: Una and Kathleen Riley on their tandem trike on the way to the York Rally. Kindly provided by Martin Purser of the Tricycle Association.